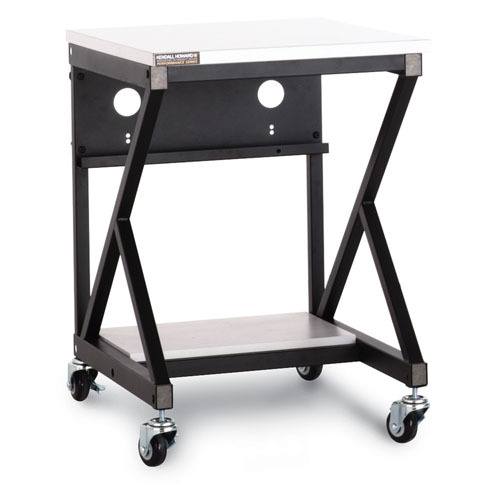 Multi-Functional: The 400 Series LAN Stations/Workbenches are commonly used as training tables, manufacturing and packaging work stations, printer stands, mobile computer carts, and much more. Various Sizes Available: We know areas, such as shipping stations, home offices, and technology centers, vary in size and need. That’s why we offer the 400 series in four sizes (24”/48”/72”/96”) so you can choose the LAN station suitable for you. A 14" deep lower shelf providing just enough storage space for shallow components, leaving plenty of leg room.